The Clarenden simply stands out from the crowd. 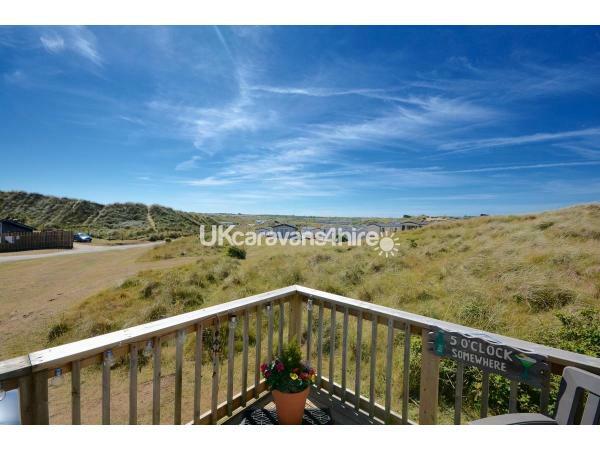 This is a stunning 2 bedroom, 6 berth caravan situated in a fantastic location overlooking the dunes of Perran Sands. 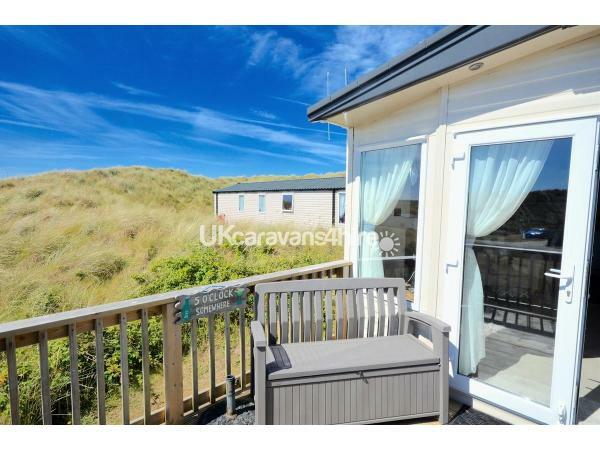 The end position in the heart of the holiday park ensures you will not be overlooked whilst being just a short walk to both the site amenities and the beach. 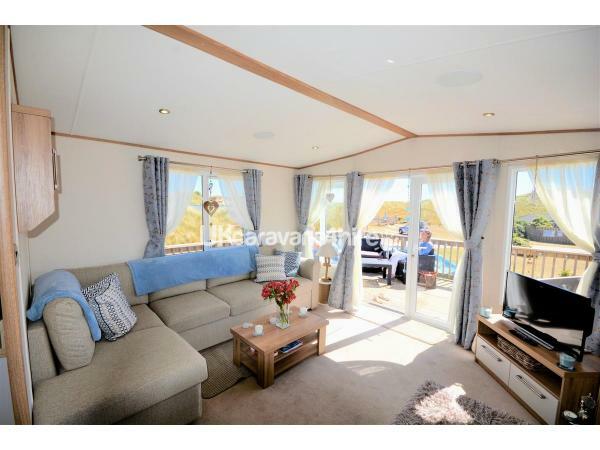 This caravan also has a lovely decked veranda area complete with patio furniture, perfect to sit and watch the world go by. 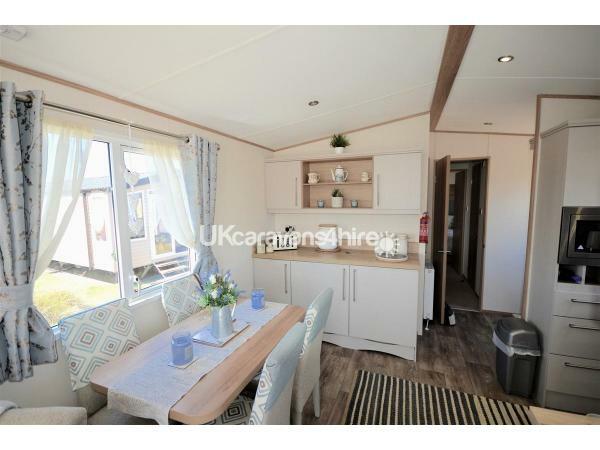 The caravan is double glazed and has the benefit of full central heating, complete with room thermostat to maintain a constant comfortable temperature. There are USB sockets in each room. Lounge: Free standing seating comprising of a sofa incorporating the pull out occasional bed & two arm chairs. 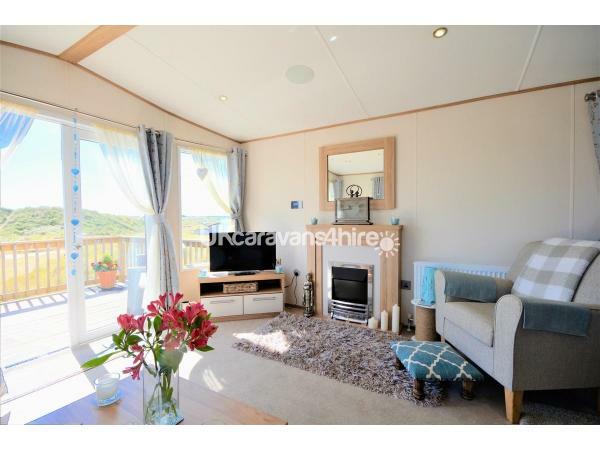 Feature electric fire, TV, storage unit and integrated MP3 player & speakers. The French Doors lead out onto the decked veranda. Kitchen/Dining: Comprises a free standing table & four chairs. The kitchen is equipped with everything you should need for your stay. 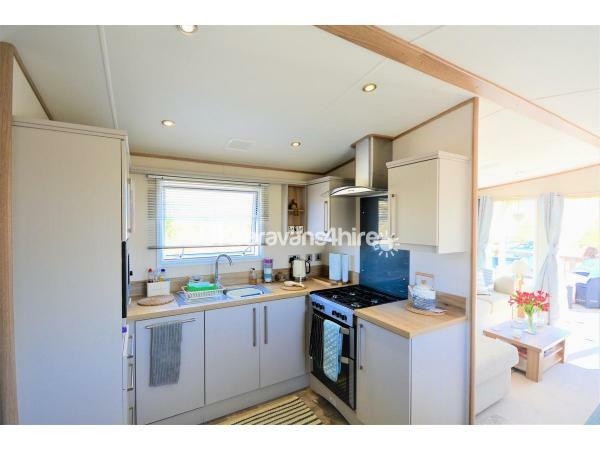 With modern worktops, kitchen units, wood effect flooring, integrated fridge/freezer, microwave, oven & four burner hob. 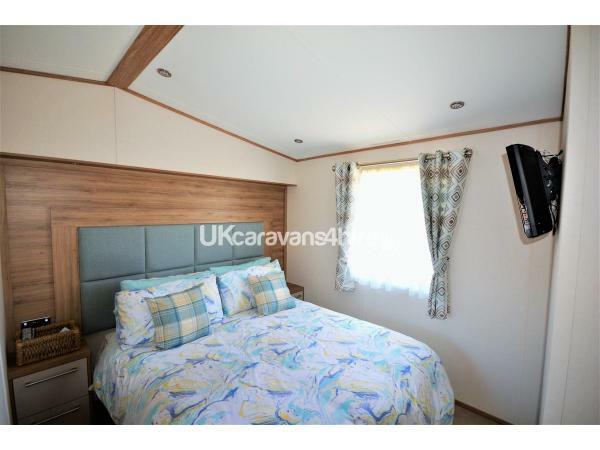 Master Bedroom with En-suite: The master bedroom has a king sized bed, mirrored dressing area & stool, built in wardrobe, feature headboard, wall mounted TV & large mirror. Duvets & pillows are provided. Completing the master bedroom is the en-suite comprising of a shower, WC, Vanity storage unit with hand basin over, heated towel rail & shaver point. Bedroom 2: Comprises of two twin beds, bedside table & feature headboards. Again, duvets & pillows are provided. Family Bathroom: A shower enclosure with thermostatically controlled shower, WC, Vanity storage unit with hand basin over, shower point & heated towel rail. 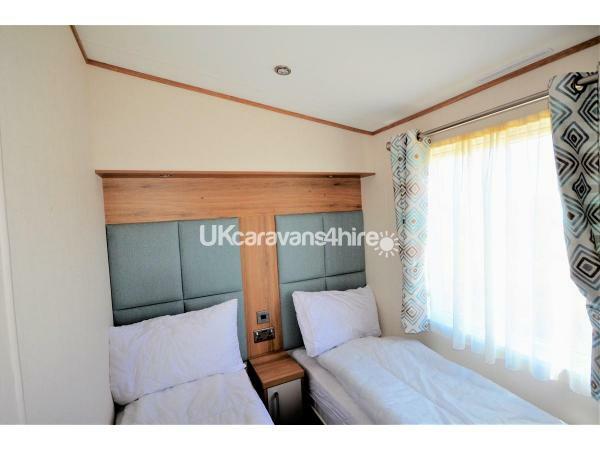 Outside: Ample parking for two cars next to the caravan. 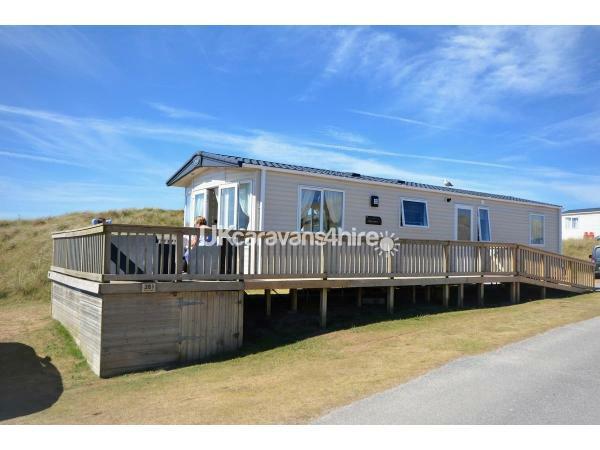 Perran Sands Holiday Park offers numerous facilities to keep the whole family entertained. There are heated indoor and outdoor pools & flume, complete with a newly constructed lazy river. Other on park facilities include adventure golf, kart hire, Sports Court which includes football, basketball, archery and fencing. Onsite you will also find a well stocked convenience store with instore bakery, gift shop and a launderette. A hire shop will provide you with anything you may have forgotten. There are numerous places to eat and drink and providing WIFI access, including a The Funky Fish Restaurant, Surf Bay, Papa Johns Pizza which also offers a delivery service plus a traditional Cooke's fish and chip shop. There is a sports bar open throughout the day for drinks and snacks, with pool tables, Sky TV and an outdoor seating area. Other Entertainment include the Fun Works Amusement Arcade & shows throughout the day in the Live Lounge. The village of Perranporth is only a mile away, with a scheduled bus service which collects and drops off at the Holiday Park. 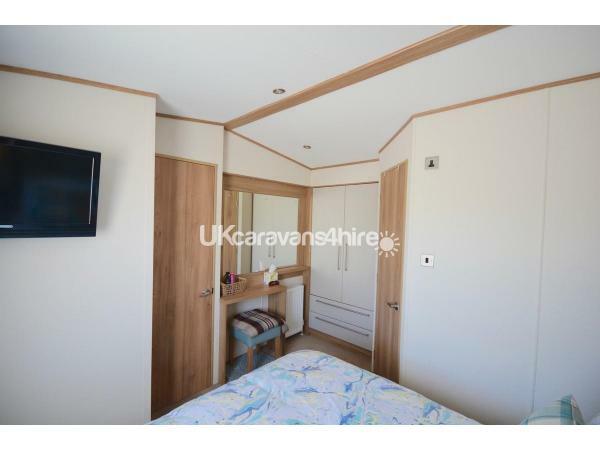 Alternatively Perranporth can be reached on foot via the Coastal Path running alongside the golf course taking you onto Perranporth Beach and the famous Watering Hole beach bar. The village itself has a number of interesting shops and cafes, the majority of which are dog friendly. There is also a boating lake and gardens. Perranporth is a famous surfing destination and attracts surfers of all abilities. For anyone wanting to try their hand there are a number of equipment hire shops which also offer lessons.